The Dompierre-Becquincourt Cemetery is located south east of Albert close to Péronne. 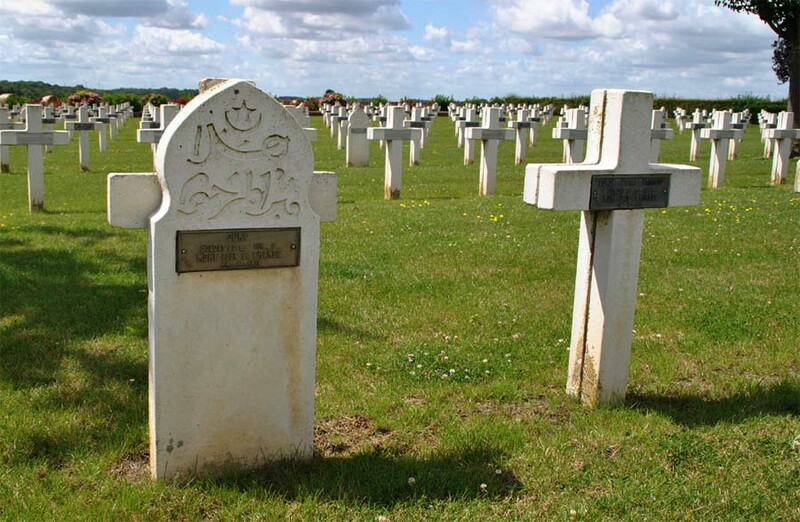 The cemetery is built just after the end of the First World War and contains more than 7,000 Christian and Muslim war graves. 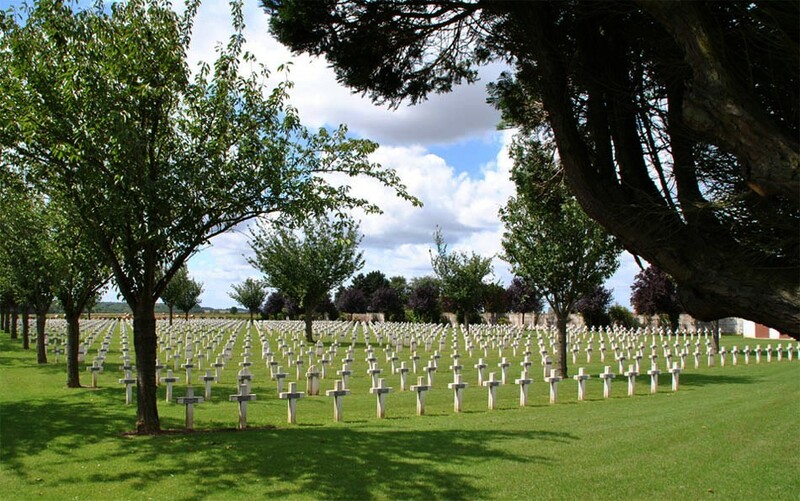 The cemetery covers and area of 20,975 m2. 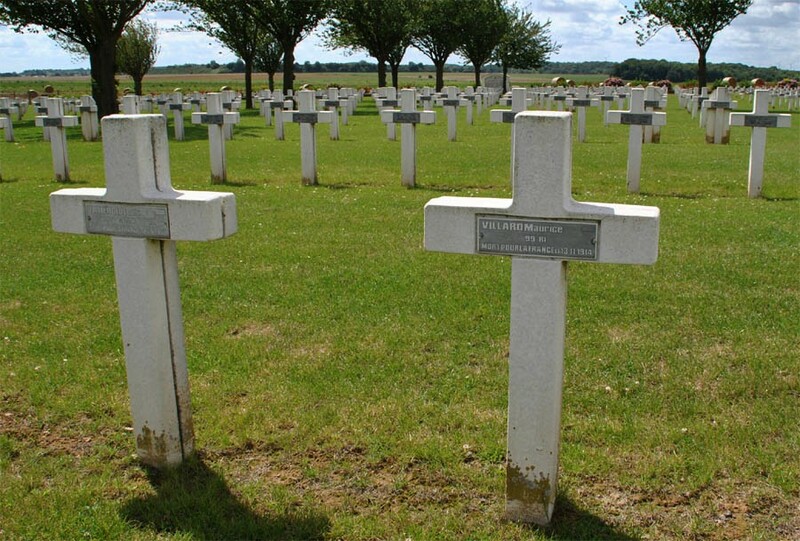 Two of the French World War I graves at the Dompierre-Becquincourt Cemetery. 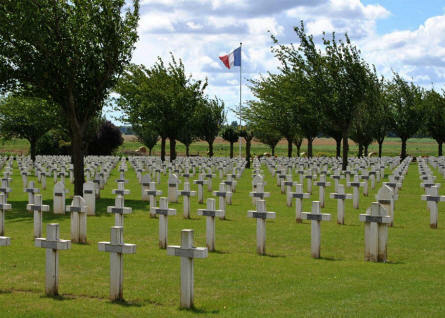 Both soldiers were killed in 1914. A section of the Dompierre-Becquincourt Cemetery. Two of the French World War I graves at the Dompierre-Becquincourt Cemetery. 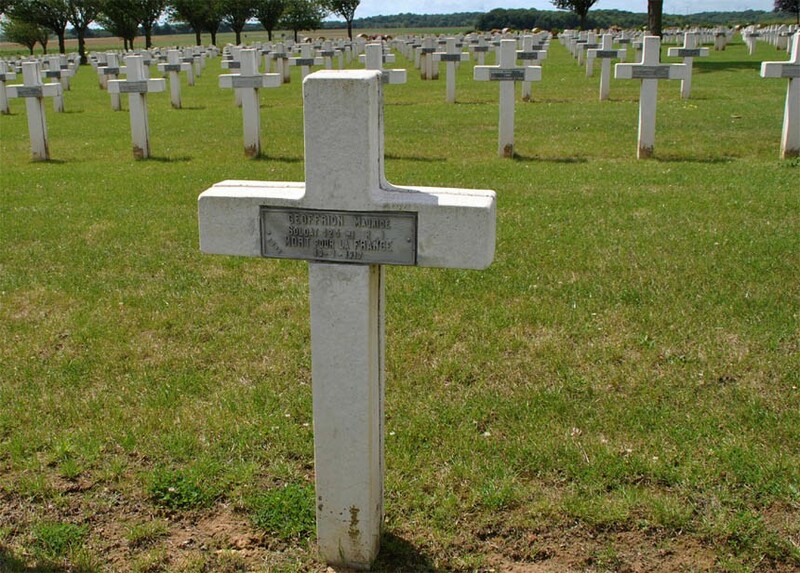 One of the French World War I graves at the Dompierre-Becquincourt Cemetery. 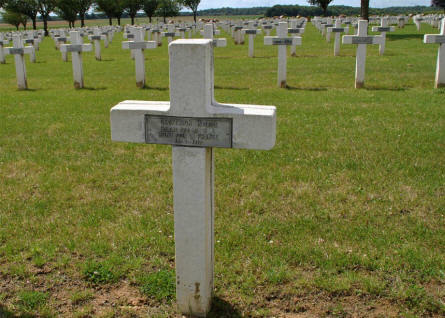 This solider was killed in 1917. 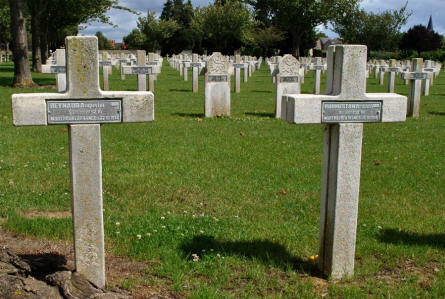 Two of the French World War I graves at the Dompierre-Becquincourt Cemetery. One Muslim and one Christian gravestone.